Our Board comprises highly experienced professionalsfrom a range of backgrounds, including the private and not-for-profit sectors and academia. Andrew Rollason is a trained scientist with 30 years' experience of research and teaching in Physics, and a successful career in business development and technology funding. As an experimental physicist Dr. Rollason has delivered laboratory teaching and research modules to a thousand science undergraduates while carrying out active research programmes using State-of-the-Art crystallography laboratories and international facilities. Andrew has degrees in Physics and Mathematics, Astrophysics and Condensed Matter Physics and has worked as a guest scientist in international research facilities as well as an innovation consultant with UK technology development businesses. Dr Rollason is the founder of Empirical Science Ltd - a technology development and training consultancy supporting EU businesses. Martin Rigley is CEO of Lindhurst Engineering and a passionate advocate of skills training and STEM related to industry whose career began with an Advanced Apprenticeship in Electrical Engineering with British Coal. 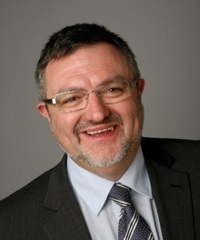 He is currently the chair of the N2 Skills and Employment Board, providing the voice of employers within Nottingham and Nottinghamshire and steering the skills requirements in the City & County and driving economic development, and chair of the Transport Equipment Manufaturing Group. 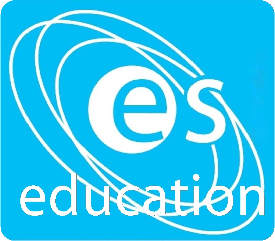 The ESE advisory board is composed of a group of leaders from the private and social sectors who offer their vast expertise and advice on issues of strategic importance to education and skills in society. Rachel is a laboratory science-trained educational consultant working with Bright Education and Women’s Work (Derbyshire) Ltd. Rachel has a prior career in senior roles as head of science/vice principle of several secondary schools and as Founder/Executive Head Teacher of one of the UK’s first Studio Schools. She has been involved with academic standards through the Qualifications and Curriculum Development Agency and as a trustee of the National Open College Network. Rachel’s expertise also includes an accountancy qualifications and ten years’ experience as Financial Director for Royal Ordnance/ Courtaulds Filaments. Professor Riham Khalil is Professor of Intelligent Manufacturing and Engineering Science and a leading international academic in the field of lean manufacturing and smart engineering. She has held academic positions at universities in the UK, US and Egypt and is director of a Homeodynamic Autonomy Ltd, a lean manufacturing consultancy in the UK. A strong proponent of women in professional careers, Remy has been Education Director for the Women’s Engineering Society, a charity and professional network founded in 1919 to support the furtherance of women in engineering professions after the war. She has been recently appointed as Education Director on the UN Global Education Programme. Ashreen is a highly experienced business engagement professional with a Bachelor of Commerce degree in Economics and Statistics (University of Cape Town) and an International Diploma in Risk Management (Institute of Risk Management, London). She is a Business Engagement Advisor for Futures Advice, Skills and Employment as well as an Enterprise Coordinator for the Careers and Enterprise Company, managing strategic relationships between business and education in line with objectives set by the Department of Business, Innovation and Skills and Local Authority Economic Development. Ashreen works with schools in Nottingham through Aspire, the education business partnership in Nottingham City, directly influencing their employability strategy, helping to raise aspirations and attainment and develop the employability skills of young people through effective employer engagement. She has more than 12 years of experience managing work-related learning projects and has extensive relationships with local schools, businesses and other stakeholders. Dr Hoare is the director of Peptide Conferences, an organisation dedicated to running high quality scientific meetings in the Peptide Sciences. We work with a number of learned societies and other academic bodies to bring together world-leading researchers in an environment conducive to exchange of ideas and information, networking and development of collaborations. Stephen tutors in the private sector and has been an A level examiner and coursework (practical) moderator and Chief Examiner responsible for setting and marking exams. Stephen has a BA Biochemistry (Oxon) and DPhil (Oxon) in Peptide Chemistry and is a member of the Royal Society of Chemistry and a Chartered Chemist (CChem, MRSC). Ruth is director of CumbriaFC, a fundraising organisation for the charitable sector. Dr Jeffcoate graduated from London with an honours in Applied Biology and Physiology (Foundation in Medicine), going on to earn a PhD from Cambridge in Neuroendocrinology. She has worked in medical research until 2005 in both academia and pharmaceuticals before joining the fundraising profession. Ruth’s expertise lies in fundraising from grant-making trusts across many different charitable objective streams. Dr Holton is Project Director of Cogent Skills, the sector skills organisation representing UK science industry. After completing a DPhil in Chemistry, John has held senior management positions with ICI’s Corporate R&D laboratory, with EVC, an ICI/Enichem joint venture, and Inovyl, a global specialty chemicals and technology licensing business. Joining Cogent as Strategy Director in 2005 John focused on developing the relationships and networks to facilitate strategic engagement; playing a key part in defining demand-led provision and raising employer’s ambition to invest in skills. In 2014 John became Cogent Operations Director responsible for Workforce Development in the science sector with the key objective to establish the Gold Standard as the benchmark for excellence in skills. John’s current role as Project Director involves securing investment to support the development of skills in the science sector. John is a graduate in Chemical Oceanography and is Sales Director for Axiell UK, a business providing collections management systems to libraries and museums worldwide. Formerly John was International Business Director for careers guidance software provider, CASCAiD Limited, a subsidiary of Loughborough University where he worked for 13 years with governments and companies in more than a dozen countries to make sure students and clients receive the best careers guidance possible. He also gained experience in scientific equipment and instrumentation marketing before entering the software industry. John has extensive knowledge of the careers guidance available to adults and young people and has delivered many projects to promote lifelong learning and employability. Terry Croft MBE is recognised as one of the UK’s leading authorities on technical development and modernisation in the HE sector. He has held a number of senior positions in the sector and currently is the Director of the HEFCE Catalyst TDM project and the Director of the National Centre for Professional Technicians in Higher Education (www.sheffield.ac.uk/tdm). Terry is also the current Chair and CEO for the Institute of Science and Technology (the professional body for specialist, technical and managerial staff). In his career to date, Terry has received a number of awards and accolades including the MBE, elected Fellow of the IST and elected as the first President of the Professional Technical Specialists in Education Group. In 2014 Terry was awarded the status of “One of the Top 100 Leading Scientists 2014” by the UK’s Science Council. Dr Wakerley, MRSC, graduated from Loughborough University with a PhD in Tremogenic Mycotoxin Synthesis and is a Founding Director of Missing the Linq, a consulting company specialising in helping businesses connect strategy to delivery, people and technology. She has over 20 years' experience in developing and delivering courses which cover whole school strategy and development in secondary schools, across both the state and independent sector. Dr Wakerley is an exam marker for GCSE and is currently Head of Chemistry at Trent College, Nottingham. Dr Tim Smith is an applied mathematician and engineer whose earlier career included teaching and research roles in higher education and managing large, multi-site manufacturing operations. He also spent four years as the chair of a charitable training association. 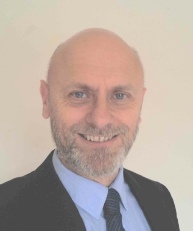 Tim joined ANTERIOR Management in January 2012 from the Skills Funding Agency where he was the Head of Implementation for Funding and Allocation Policy. He brings extensive expertise in the quality improvement of government-funded learning in colleges and training organisations from his time with the SFA, LSC and DfES and as a lead inspector with the TSC and ALI. Since joining Anterior, Tim has continued working with further education colleges and training organisations undertaking external reviews of their operations, developing clients’ sub-contracting arrangements for education and training and supporting the privatisation of an adult education service. The ESE executive team comprises individuals drawn from the education & skills, financial, consulting and professional services as well as the not-for-profit sector. We believe that this makes for a team that combines experience, discipline and insight. To ensure in-depth review and oversight of critical parts of ESE activities, we are forming several focussed committees which report to the main ESE Board. Each of these committees will be chaired by a Board member.